by educating yourself on, and following the rules. No walking on the fescue (long grass) at the park entrance – manicured grass in PlayGarden is available for use! 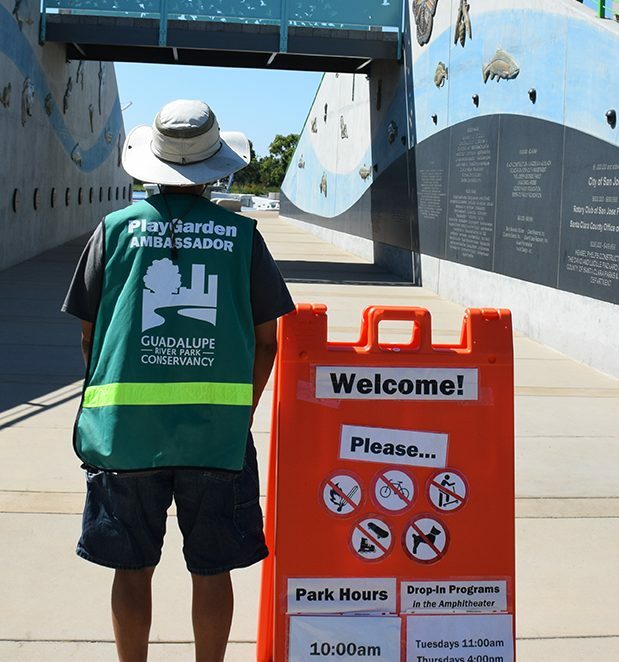 Help us keep the PlayGarden clean and safe by removing anything you bring into the park. Please refer to posted signage for a complete list of permitted and prohibited items. For guidelines specific to picnic reservations, please click here.